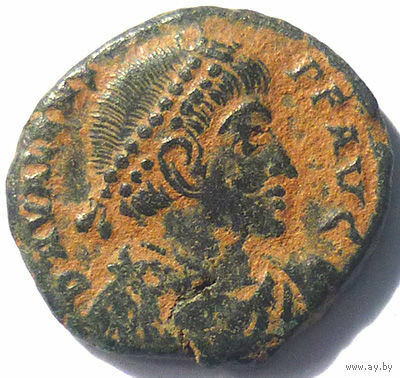 Valens, AE3 of Antioch. AD 364-367. 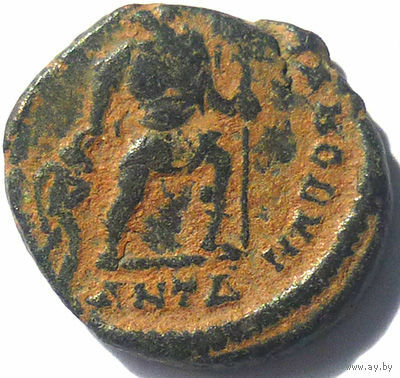 DN VALENS-PF AVG, pearl-diademed, draped, cuirassed bust right / GLORIA RO-MANORVM, emperor, holding labarum, walking right, looking left, dragging a captive behind him. Mintmark ANT delta. 15-16 mm.